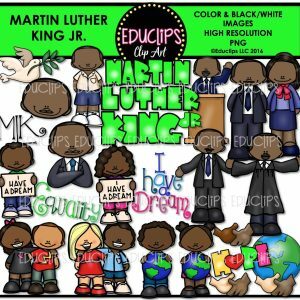 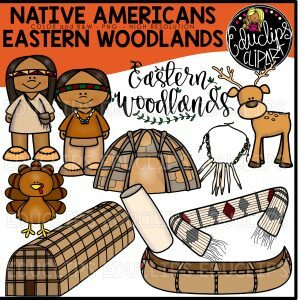 This is a collection of 5 sets of Thanksgiving time clipart images. 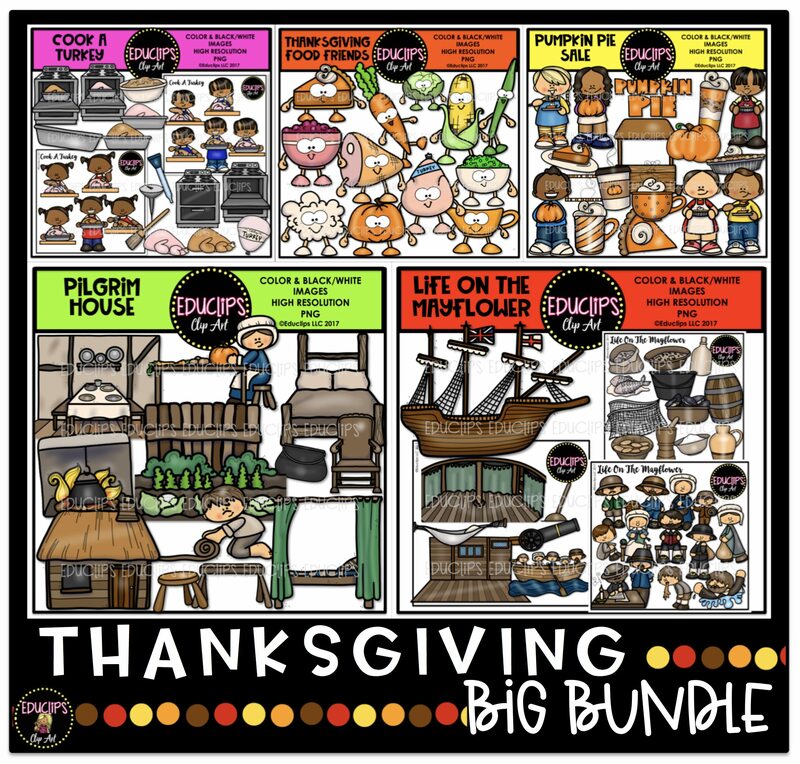 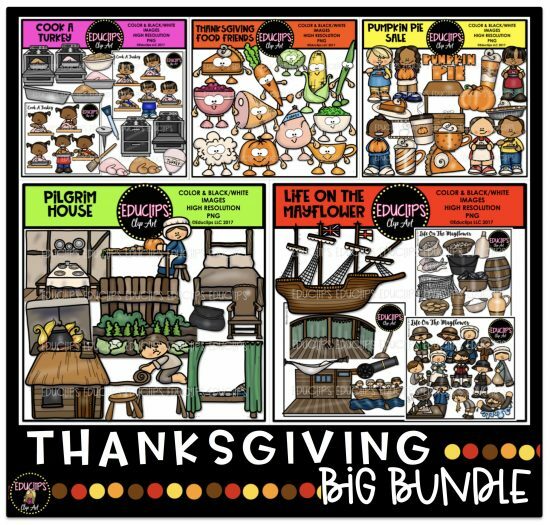 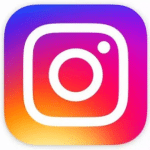 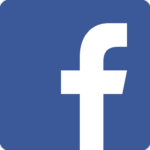 Cook A Turkey, Life ON The Mayflower, Pilgrim House, Pumpkin Pie Sale, Thanksgiving Food Friends. 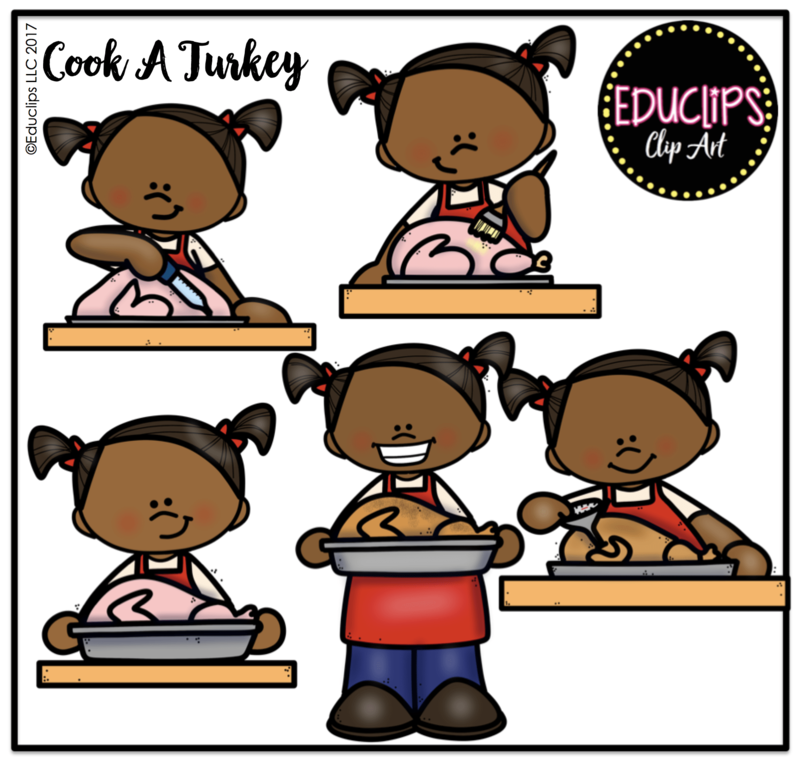 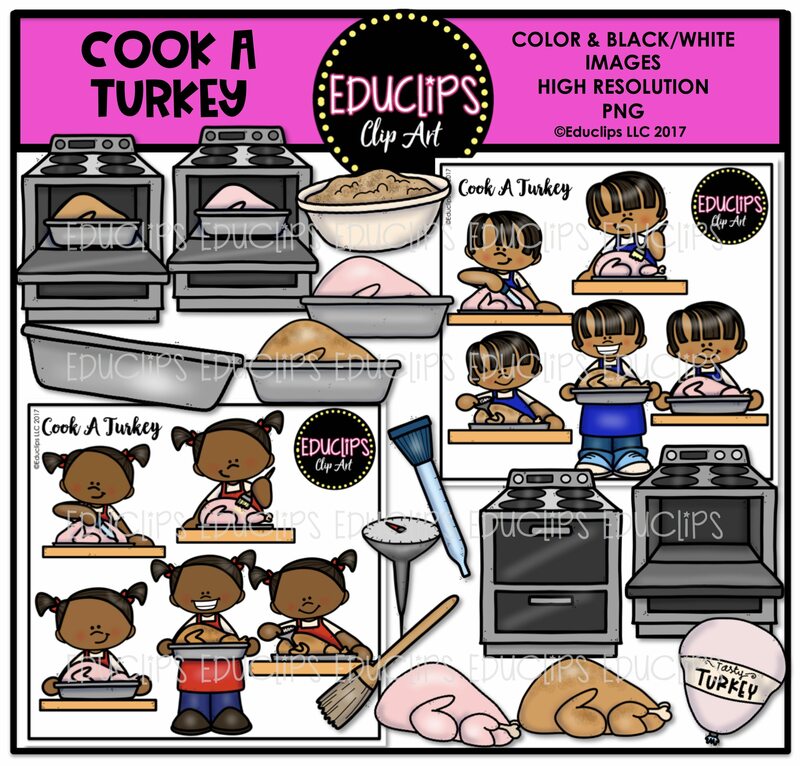 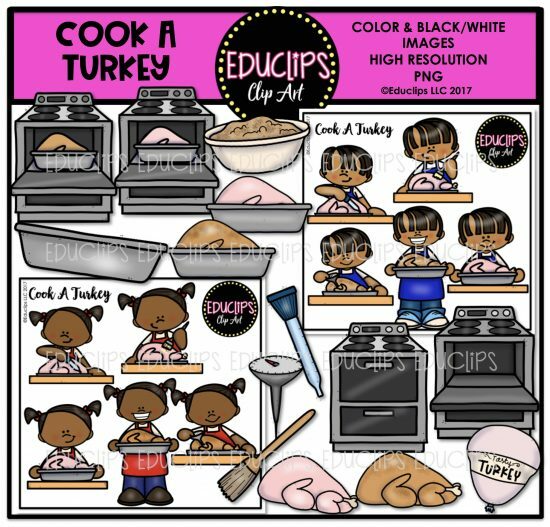 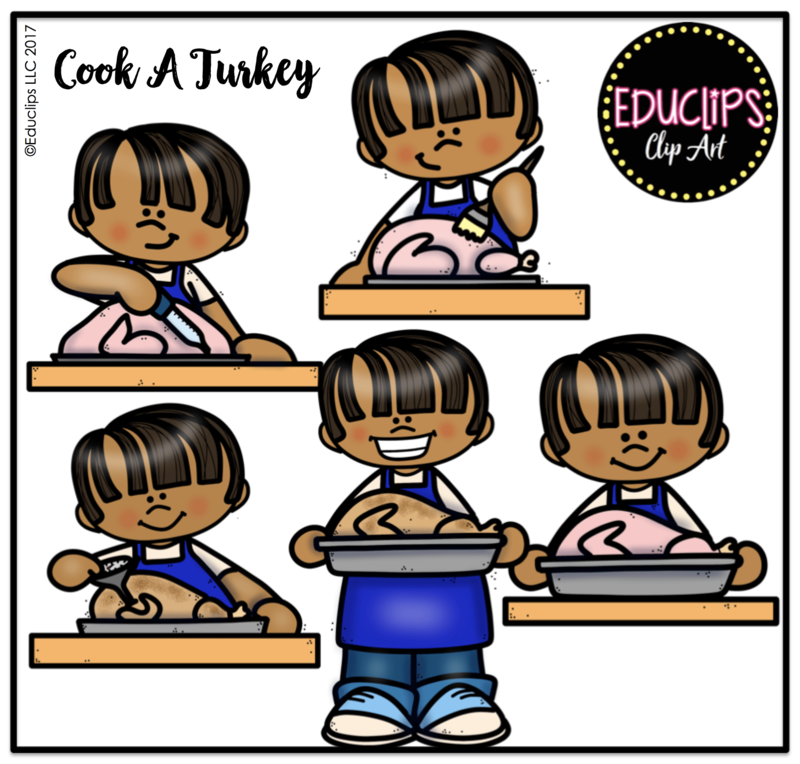 Turkey baster, oven (standing alone and with cooked and uncooked turkeys, stuffing, thermometer, brush, children with turkeys in various states of preparation. 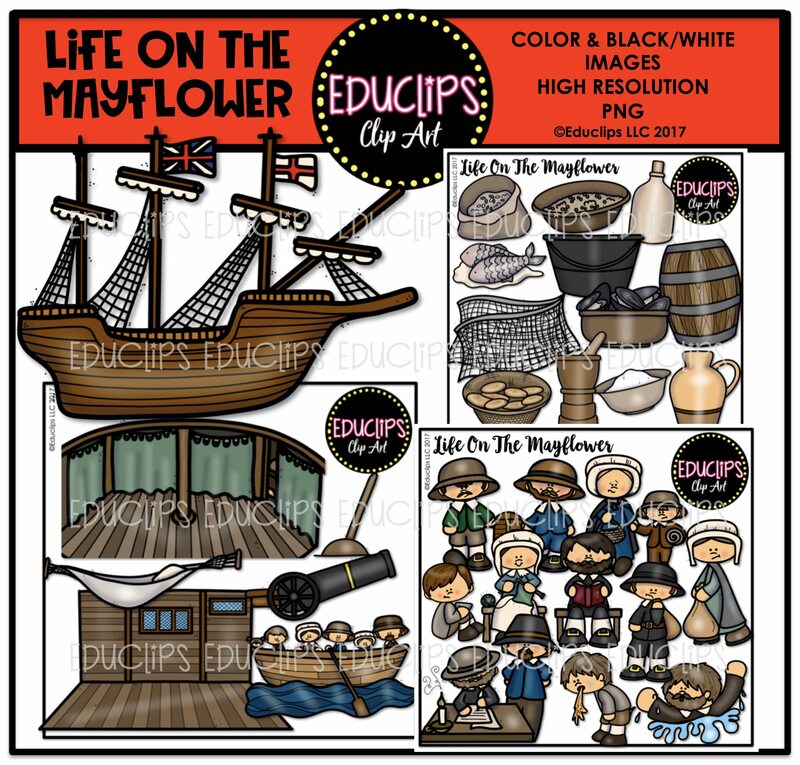 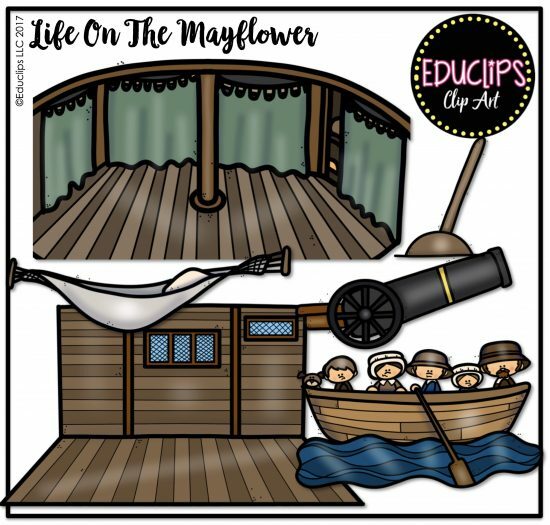 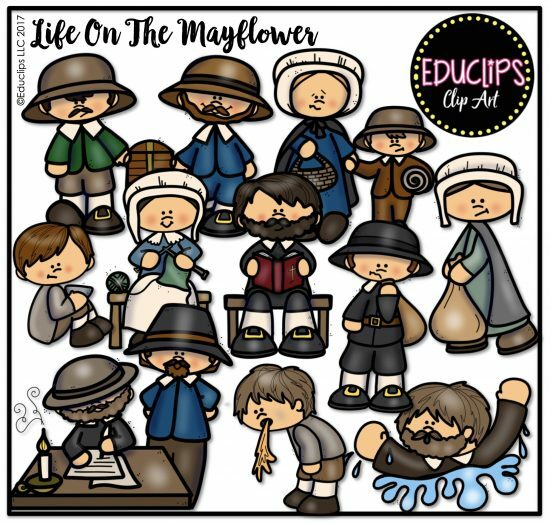 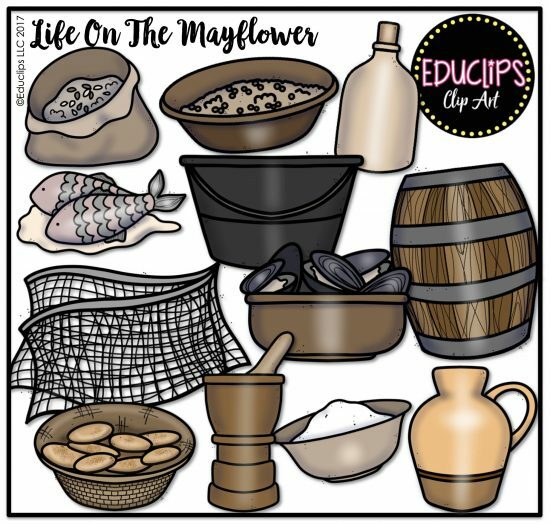 A collection of pilgrims and items connected with the history of the Mayflower journey. 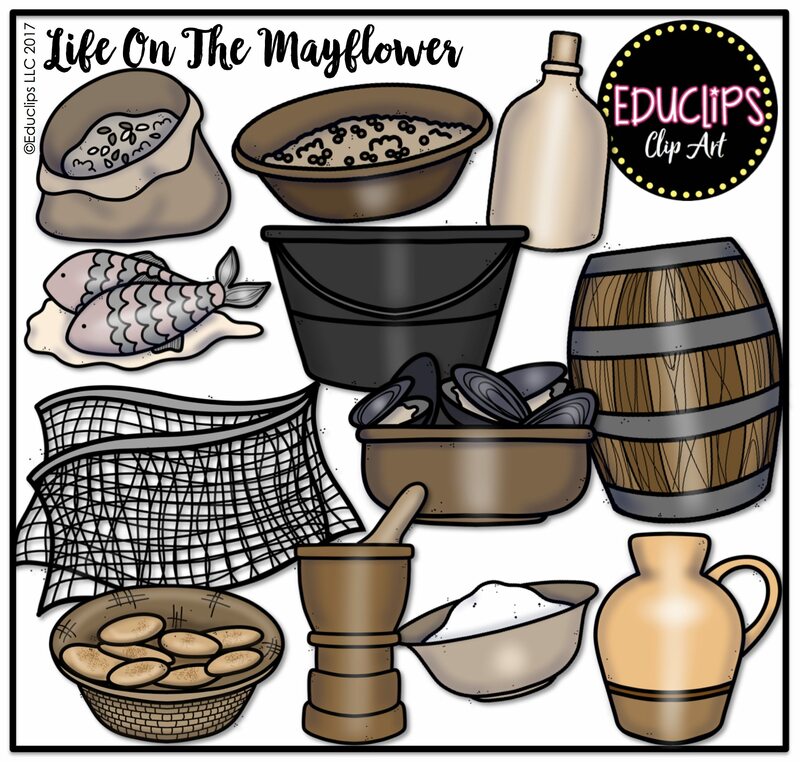 Barley, signing Mayflower Compact, beer barrel, cannon, child eating, water container, dog, dried peas, fish in salt, fishing net, hammock, inside cabin, jar, John Howland (fell overboard in storm), Mayflower, mussels, pestle and mortar, pilgrims carrying chest, pilgrim and chest, pilgrim knitting, pilgrim man with sack, pilgrim reading bible, pilgrim woman, pilgrims living area, pot, rowing to ship, salt, seasick child, shipmaster Jones, whipstaff, ship’s biscuits. 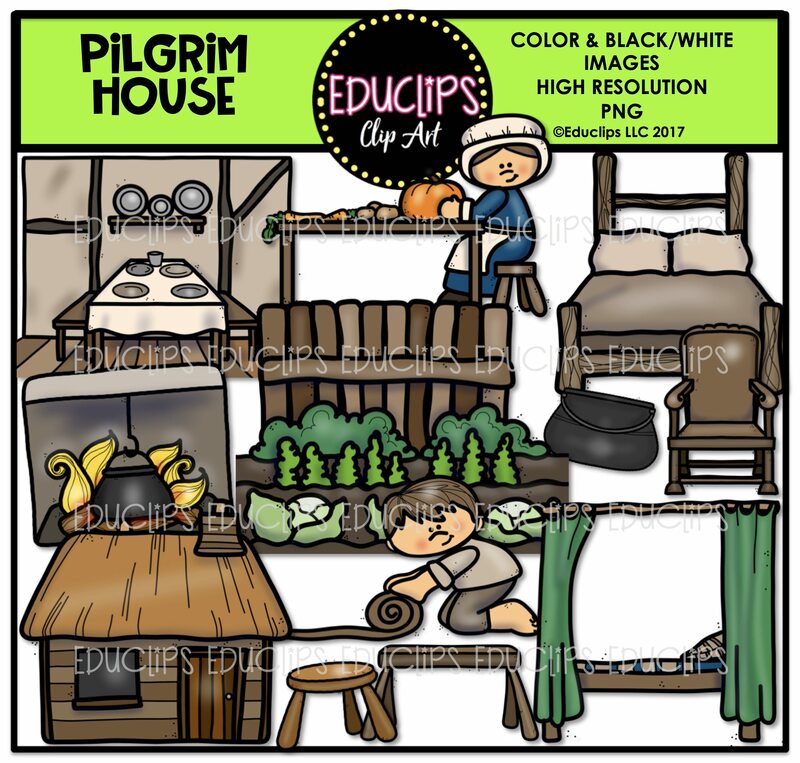 A selection of images showing items and the inside and outside of a pilgrim house. 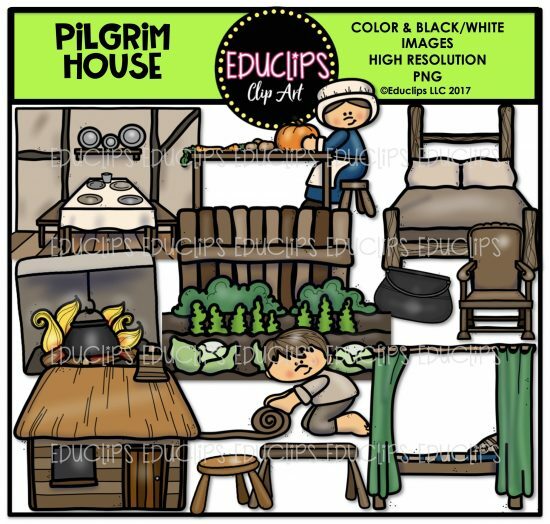 bed with curtains, bed, bench, boy rolling up bed, chair, cooking pot, dining area, garden, hearth, house, preparing vegetables, stool. A collection of images showing kids involved in a pumpkin pie sale. 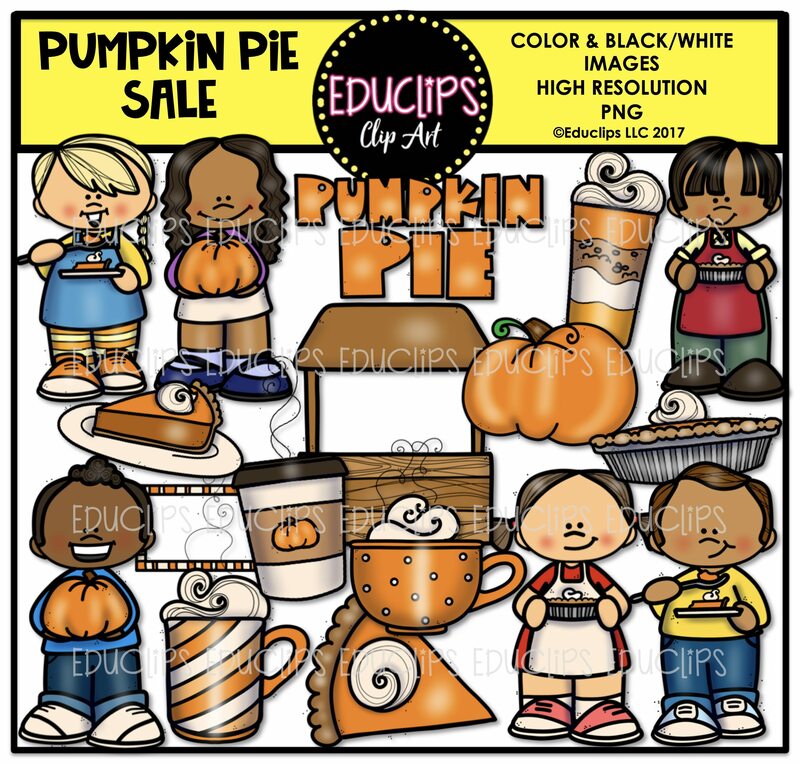 Kids eating pie, kids holding pie, kids holding pumpkin, hot chocolate, pie slices, pumpkin granola, pumpkin latte, pie, stand, pumpkin, take out pumpkin latte. 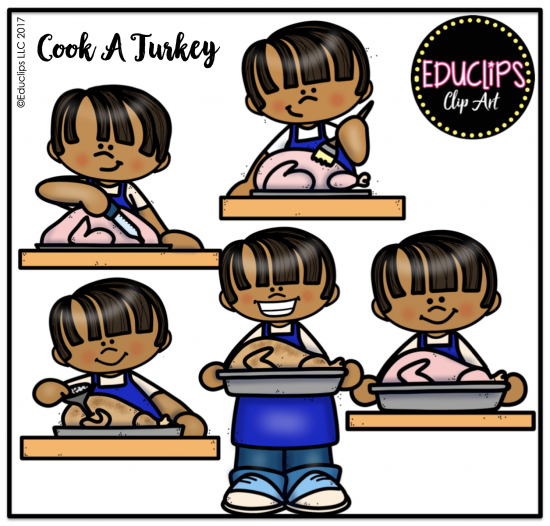 Thanksgiving food has been brought to life with these food guys. 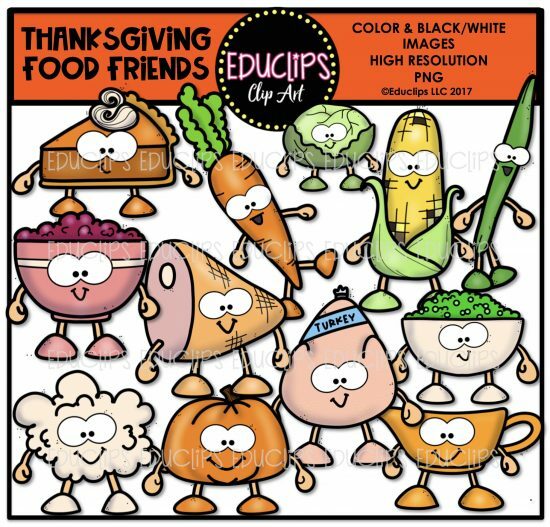 Brussels sprouts, carrots, corn, cranberry sauce, gravy boat, green bean, ham, mash potato, peas, pumpkin pie slice, pumpkin, turkey.